The WMEM1012 series of AC/DC medical wall mount power supplies offers up to 12 watts of output power in a compact vertical or horizontal package. This series consists of single output models with a wide input range of 100 to 240VAC. Many options are available for this series including USB or SR type, vertical or horizontal package, and US, EU, or UK plug. This series is RoHS compliant, meets CEC Level VI, and has over voltage, short circuit and over current protection. It also has UL/cUL, UL60601, CB 60601, CE, and FCC safety approvals. Notes: 1. “X” in model number indicates case direction. “X” can either be “V” for Vertical or “H” or Horizontal. “Y” in model number indicates plug type. 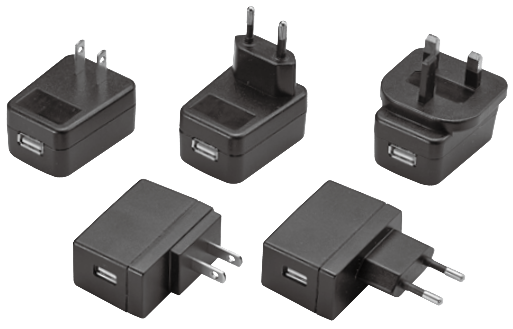 “Y” can either be “U” for US plug, “E” for EU plug, or “K” for UK plug. 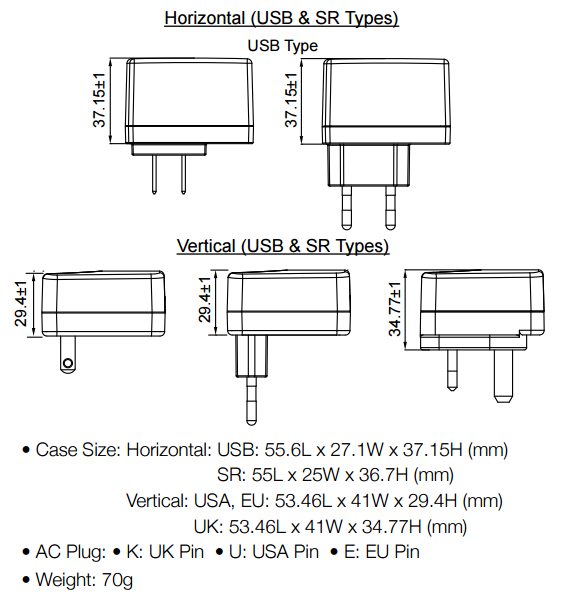 Please note that UK plug is not available for horizontal mount. “Z” in model number indicates output type. “Z” can either be “USB” for USB output, or “SR” for SR output. Example: WMEM1012A-VKUSB would be a Vertical model with UK plug and USB output.